How to perform an installation of Microsoft Windows 7 Original Equipment Manufacturer (OEM)?Â How to perform a clean Windows 7 OEM install? How to format your hard disk drive? Microsoft Windows 7 is Microsoftâ€™s latest operating system. Currently, there are four editions of the operating system available, the four editions are available as â€œstarterâ€, â€œHome Premiumâ€, â€œProfessionalâ€ and known as â€œUltimateâ€. These versions differ in the core functionality that are available within the operating system. For example, the Starter Edition very little network functionality in comparison with the Ultimate Edition of the product. In addition, the Professional and Ultimate editions of the product on the professional / corporate are marketed, while the Starter and Home Premium Editions are designed for home users. OEM versions of Windows 7 are included with computer system purchases from a variety of hardware brands such as Toshiba, Sony and Dell. 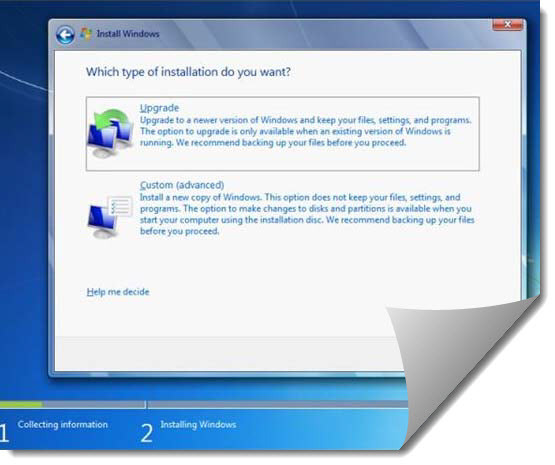 If you are buying a new computer system â€“ installed on the Windows 7 OEMâ€™s â€“ a version of the operating system should already be installed on the system. However, you may want to reinstall Windows 7 in this case there is to consider some important considerations. 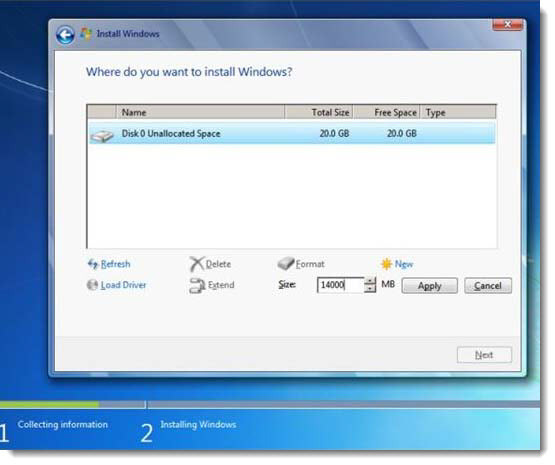 Deleting the partition and formatting the hard drive clean ensures that your installation is 100%. If you decide to install Windows 7 OEM on-top of other Windows version (upgrade), problems may occur. You need to (advanced) user-defined â€œon the click option, then see a new set of options. You will then need to click the â€œDrive (extended)â€ option, as you will be directed to reformat the hard drive options. The next step is to click the option â€œDelete the current partition table, after which you need to click the optionâ€ New â€œis a new partition you create is click delete â€“ will be filled automatically by the size of the partition size your hard disk, you leave this option alone. Click â€œNextâ€ to begin the installation. The installation process will be automated in practice from now on. Prior to commencing with the clean installation of Microsoft Windows 7 OEM you MUST back up all of your important files in Windows. Performing the clean installation will completely wipe your hard drive in which case there will be very little chance of recovering any lost data. It is recommended that you use an external storage device such as a USB flash drive or an external hard drive to back up the files. Please note that your OEM version of Windows 7 is designed specifically to work with the exact model of your computer. If you attempt to use this version of the operating system on another computer, you will not be able to proceed with the installation â€” the product key will be returned as invalid. Furthermore, if you make any significant changes to your computer hardware â€” such as a motherboard upgrade, for example â€” you may, again, not be able to proceed with the installation of Windows 7 OEM.